I was clinging to a rock 15 metres below the ocean’s surface and the current’s surge seemed determined to wrench me from my precarious hold. Visibility was less than five metres, but through the gloomy waters a massive bird-like fish glided gracefully into view, passing just inches above my head, with its ‘wings’ on either side of my body. This first encounter with a manta ray was an experience I will never forget! Sri Lanka is a small island nation in the Indian Ocean and I was born and grew up right in the middle of it, miles away from the ocean. My passion for the underwater realm only got going when I started snorkelling at the age of 10 and then later when I got the opportunity to learn scuba diving. 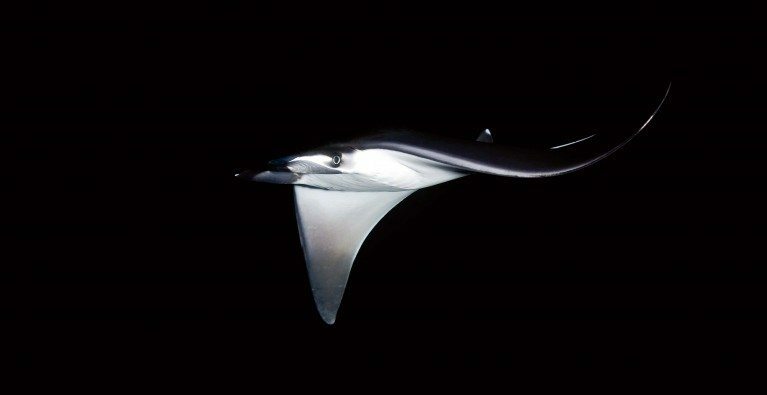 It was then, during an advanced open-water dive in the Maldives, that I first encountered manta rays. After briefly contemplating dropping out of university to become a scuba instructor, I realised (and was convinced by my parents) that I could have a much greater impact on the marine environment if I had an academic background. So I switched from my undergraduate degree in biomedical science to a Masters in marine resources management. After my studies I briefly pursued research on the whales off the eastern coast of Sri Lanka. On a return trip to the Maldives, however, I rediscovered the manta rays and reignited my desire to learn more about them. 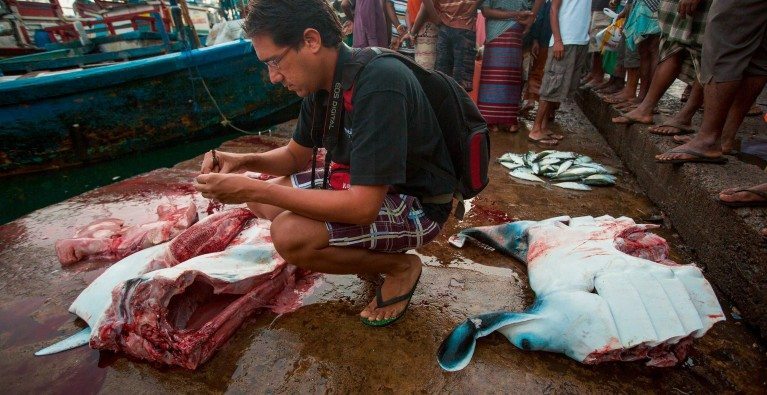 After hearing of the large-scale fisheries around the world for manta rays and their smaller cousins, the mobula rays, I decided to get involved in the research and conservation of all mobulid species. It is not just the fact that they are highly threatened, but also that these iconic creatures help draw attention to the destructive fishing techniques employed around the world that endanger many other marine species.